SimplyBestCoupons Review: Legit or Scam? SimplyBestCoupons is an online shopping portal where you can earn cashback rewards by simply stopping by the site before you do your usual online shopping. Right now you can get a free $5 Sign-up Bonus after your first purchase! It’s extremely easy to open an account and once you are signed up, you can shop at over hundreds of different cash back stores such as Bass Pro Shops, Disney, Dell, Payless Shoes, and Walmart. You just need to find a store on SimplyBestCoupons and you will get the specified cash back percentage for purchases made on their site. After that, you can add to your savings with a 5% rebate if you refer your friends and family. Only $15 minimum payment threshold via Direct Deposit or Amazon gift card. Refer-a-friend 5% cash back commission of their rebate. Refer friends and family to receive a 5% commission on every purchase they make. 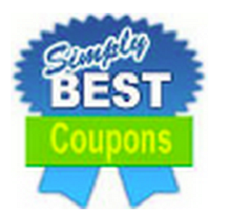 You can find some great deals when you shop online, but when you shop with SimplyBestCoupons you save even more. Taking a couple of minutes to log into your account to find a specific retailer can end up saving you up to 25%. Why wouldn’t you want to shop with this cash back portal? If you enjoy it, maybe you should share your experience with friends and family. If you do, you can earn 5% on every purchase they make! Save even more by using Discounted Gift Cards to make your purchases. I have used it for sometime to earn some cashback but they cheated on the calculation. I reported it and they never got back to me. They just ignored all my follow ups. I will never use it again, so beware it’s a scam! SimplyBestCoupons is a scam. I just talked to them and they said you have to make $20 in rebates before they add the initial $5.00 sign up bonus. Most ridiculous thing I’ve ever heard. And I just reviewed them on their Facebook page where they tried to railroad me and then they just removed the entire Review section! !